Contrary to most, though highly educated and having worked in senior positions in a number of small businesses I have struggled to acquire employment for the past three years to date, living in a foreign country (South Africa) originally Zimbabwean. Despite the fact, I started a consulting company which is three years old as well and with the little income I have increased my knowledge, skills and education. I feel I should be at a stage I own a good home and start giving my family a descent living. Married at an early age of 24 and now father two beautiful girls 3 and 1 and hoping to have a son as 3rd and last child before reaching 32. I have also been educating my wife Grace Mupa (26), also Zimbabwean, though she is a full time housewife. Our vision is I get employed as a business lecturer and management consultant, while she runs our businesses so that she can give enough attention towards the children and give them a descent home schooling, targeting Singaporian and English (Cambridge) educational systems. Currently, I am two months from becoming an Associate Chartered Management Accountant (ACMA) and (CGMA). I however intend to study towards an MBA with any of the top five business schools ( Insead, HBS, LBS, Stanford or Pennsylvania Warton). My challenge, having being unemployed though running a small business started from nothing. I have only been living from the revenue from the business which has actually not been enough given the commitments. The challenge is how to finance my next education if no employment comes my way. 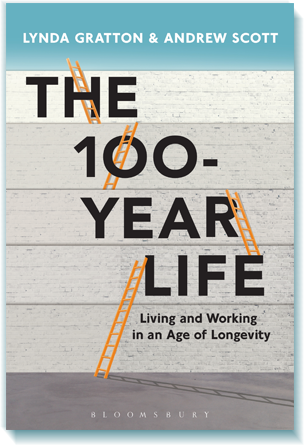 Though longer life is being speculated, I feel that I should still build my career today and have more time to work and build a better tomorrow for my children and grandchildren if there is a tomorrow. I think given a longer life expectancy, this would be a good opportunity to build a strong family and create wealth, most importantly change lives of many people. My vision is to be a lecturer and consultant before heading a large organization as CEO. After this, I believe I would have managed to build a good portfolio and wealth to build sustainable businesses in my home country and the rest of Africa, majoring in property, education and health care. Aspiring to resign around 45 – 50 and diversify into politics for about 10 more years and eventually diversifying to motivational speaking around the globe as long as I have life. I believe I would have reached the potential of my life and fulfilled my destiny. Thank you for the opportunity to write this.